In this window you can enter the current result of the match and the time of the match. Trefík then displays statistics related to the set values. Each statistic can be marked - then the list of matches from which the balance is counted is shown to the right. After a double click on the match, the details of the match will appear (goal scorers, odds, ...). This window can be used also for tennis. 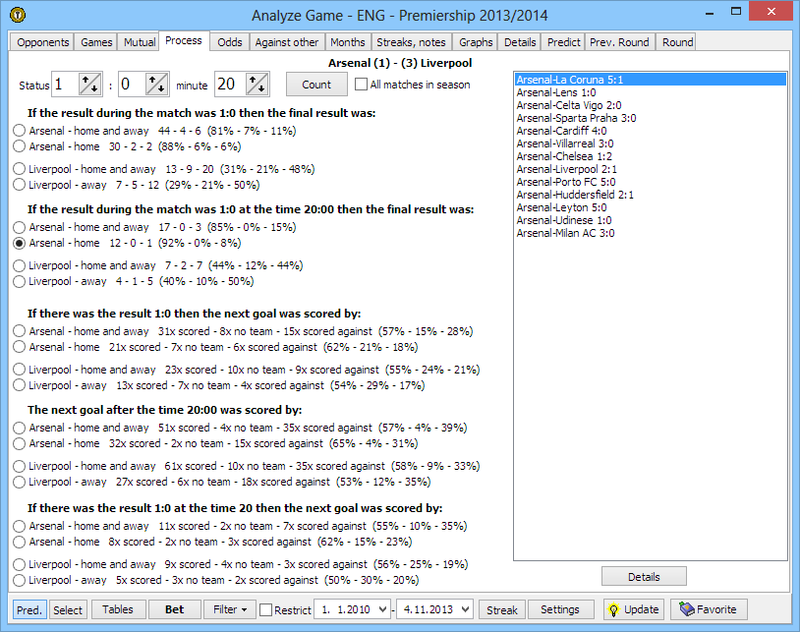 For live betting we can use also the analysis of goals scored after 80th minute.